blog.anthillstudios.net - This blog is a place for me, Ari, to post my creative stuff. Mostly process of what I'm working on, or things I've done that are cool. Just like so many other things in life, it’s time for a reboot. 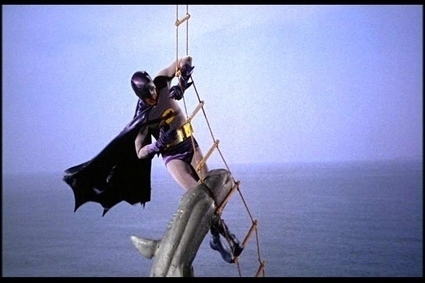 So while I do some stuff, enjoy this picture of a Batman fighting a shark. Because it’s a bit silly. And in the meantime, please excuse any bugs you might find? I’m trying to fix them.